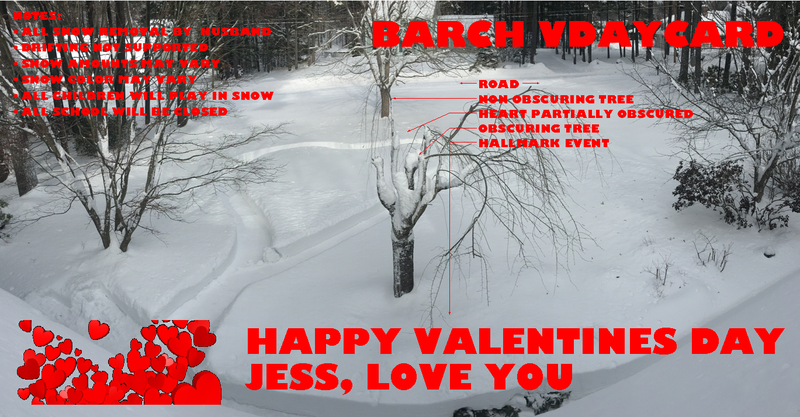 BARCH VDAY CARD = Bachelor of Architecture Valentines Day card. Might as well get some value out of my degree! Made this one up for Jess, mounted on foamcore, like a true architectural board.